It is very tough to make a decision when it comes to selecting a stone for the kitchen countertop. And when you have to make a choice between granite and quartz countertop for the kitchen, then things get more complicated. They both offer excellent design choices and have many advantages. They both last really long and offer you years of trouble free service. Countertops for the kitchen are one time investment and you need to make sure, that you have got the best one for you. Whether the slab on the countertop is going to be used for practical purpose or just for the show, they hold quite a lot of importance when it comes to the overall decor of the house. Always make sure that you are calling the right professionals to do all the installation process. The beauty of the top also depends a lot in the way it has been installed. Options between the quartz and the granite countertop can get confusing and it becomes important to take a look at the features they both have on offer, before making the final choice. One of the most major differences between granite and the quartz is the pore factor. Granite is a natural stone and it is sourced from the rocks and takes years to form. It comes with a surface that can be given various styles by a skilled craftsman. Being porous, Granite is subjected to stains and moisture damage. However, it can be sealed to avoid any such issues and it gets resistant to spills and stains once it is sealed. It’s highly recommended that you get the granite sealed once in every year to maintain its surface. Quartz on the other hand, is already sealed when it is manufacture right from the start. You don’t have to get the quartz sealed every year. Whenever you invest in a countertop, you always look for options that give you various styles and durability. You look out for a countertop that stays stylish for years to come and gives you a good price if you decide to sell it in the future. Both granite and quartz gives you a variety of choices to choose from and quartz has an added advantage of more styles and option. It can be mimicked to look as granite or as a marble and you can get one made according to your design styles and specifications. 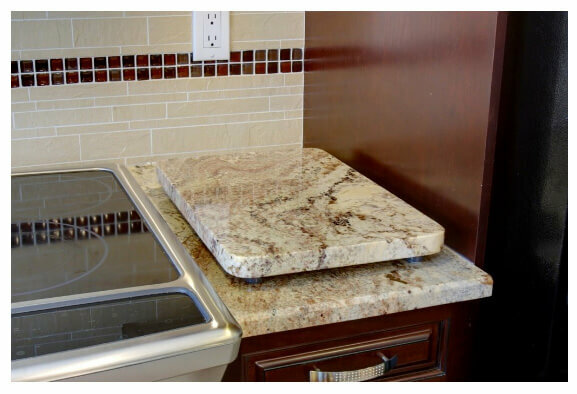 While granite requires to be sealed on a regular basis, quartz countertop doesn’t require the sealant. However, both the stones require some and the other maintenance from time to time and it is important to get them serviced and installed from professional technicians. You can never be wrong with both granite and quartz countertops. Choose the one that fits in your budget and look for the options that you have in the price range. Always remember to compare the available options and then make your final selection. Be sure to get them installed by the professionals.